We are often asked to explain our program to parents who may not have had the opportunity to experience martial arts training themselves. We relish these opportunities. Along with the “Will my child get hurt?” and “Will my child become more aggressive?” (Of course not; it is the opposite), parents also ask us: “What if he/she doesn’t like it after a while?” Well, if we are to provide an environment where your child is to achieve the goals of confidence, discipline and respect, we need parents who practice the same themselves. What we mean is, if every time your child says they don’t feel like going to school, or they find “Math” too difficult, and you as parents say: “Okay dear, you can quit school. I know you are seven years old – you know what is best for you” – heavens, we would be setting them up for failure…wouldn’t we? But all of these concerns are the exception to the rule. 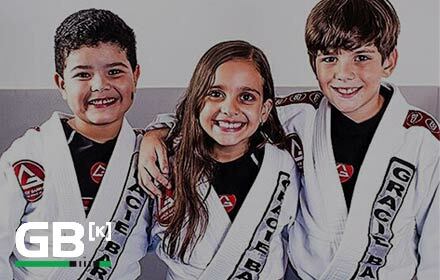 The Gracie Barra Kids Program is designed to be a safe and secure way to learn a valuable skill while enhancing every individual’s potential for greater confidence, discipline, respect, physical fitness and self control. Many students are thrilled to be learning this art at the onset, yet many at some point in time will feel bored because of today’s popular need for instant gratification; consequently creating an absence of patience and perseverance. The bottom line is this, martial arts is a character builder. Building your child’s character does not come easily or by chance, it requires deliberate and persistent effort. Effort leads to progress, and progress leads to success. Children in our martial arts program do achieve success in their confidence, fitness, manners, discipline and self control; however this requires that they attend classes regularly. That is the parent’s job. You make sure that your child is here and we’ll do our part to prepare him/her for a better future – in school, at home, with friends and with authority figures; kids only quit if the parents do.